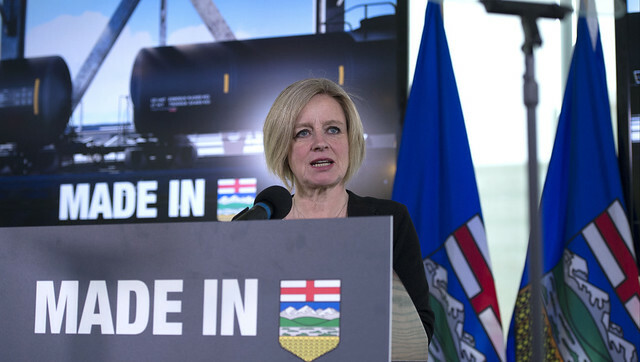 Historic rail deals between Canadian Pacific Railway, Canadian National Railway and the Government of Alberta mean all Albertans will get a better price for our energy resources. DOT-117J tank cars are the latest safety standard. These tank cars are made of thicker steel (14.3 millimetres or 9/16 inches), and have additional safety features compared to other tank cars. Additional safety features include performance standards for thermal protection and head and shell puncture resistance, as well as enhanced performance standard for bottom outlet valves. DOT-117R tank cars are retrofitted to meet the 117 specifications to include a jacket and head shield. They have 7/16-inch shell thickness with 11-gauge steel jacket for thermal protection.